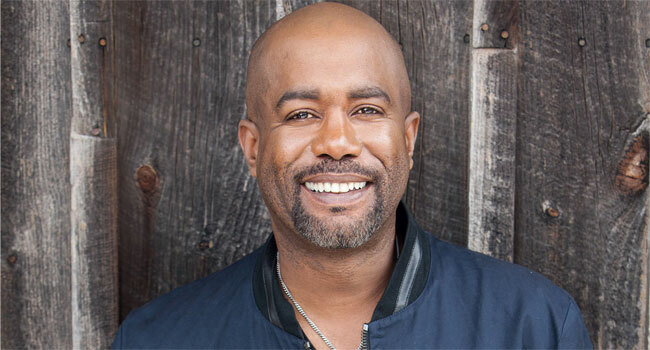 The Music Business Association (Music Biz) will present three-time GRAMMY Award-winning artist Darius Rucker with its Harry Chapin Memorial Humanitarian Award during the Music Biz 2019 Awards & Hall of Fame Dinner on Tuesday, May 7th at the JW Marriott Nashville Hotel at 7:30 pm. Rucker is being celebrated for his lifelong philanthropic efforts that include exemplary and heartfelt work on behalf of children. Rucker first rose to stardom as the lead singer and rhythm guitarist of Hootie & the Blowfish, the GRAMMY Award-winning band behind chart-topping hits such as “Hold My Hand” and “Let Her Cry.” The band’s debut album, Cracked Rear View, went platinum 21 times, and the band has charted 16 singles to date. The group is set to return to full-time touring in 2019 as they embark on the 44 city Group Therapy Tour, which will be accompanied by the release of their first studio album since 2005. During that time, Rucker embarked on a wildly successful solo country music career that has sparked five albums and nine No. 1 singles on country radio. His cover of Old Crow Medicine Show’s “Wagon Wheel,” released in 2013 on his third solo country album, True Believers, earned Rucker his third GRAMMY Award. In 2018, Rucker won the Gary Haber Lifting Lives Award from the Academy of Country Music, celebrating his devotion to improving lives through the power of music. Since its inception in 1981, the Harry Chapin Memorial Humanitarian Award has celebrated the legacy of folk rock singer-songwriter Harry Chapin, whose philanthropic work to end world hunger earned him the Congressional Gold Medal. In 1977, Chapin helped create the Presidential Commission on World Hunger. He also co-founded the charitable organization World Hunger Year to which he donated all of the proceeds from merchandise sales at his concerts. The writer of the No. 1 hit “Cat’s in the Cradle,” top 40 singles “Taxi,” “W*O*L*D,” and “Sequel,” Chapin scored a gold album with 1974’s Verities & Balderdash. Previous recipients of the Harry Chapin Memorial Humanitarian Award have included Martina McBride, Dee Snider, Melissa Etheridge, Annie Lennox, Jackson Browne, Norman Lear, and Bonnie Raitt, as well as Rock The Vote, Hands Across America and the T.J. Martell Foundation. Music Biz 2019 will return to Nashville May 5-8th at the elegant JW Marriott in the heart of downtown Nashville. The music industry’s premier event, Music Biz offers a platform for the commerce, content, and creative sectors to network, get on the cutting edge of the latest trends, and meet with trading partners. Announced thus far, Bebe Rexha and Kane Brown will receive Breakthrough Artist Awards, Sony Music Nashville Chairman and CEO Randy Goodman will receive the Presidential Award for Outstanding Executive Achievement, Record Archive owners Richard Storms and Alayna Alderman will accept the Independent Spirit Award, and The Orchard Co-Founder Richard Gottehrer will receive the Outstanding Achievement Award. The Awards & Hall of Fame Dinner event is sponsored by BuzzAngle Music, City National Bank, Cracker Barrel, Jammber, and TiVo. Attendees can also look forward to keynote presentations from influential industry trailblazers including Apple Music’s Zane Lowe, RIAA Chairman and CEO Mitch Glazier, and CEO of Def Jam Recordings Paul Rosenberg. More program and awards announcements will be made in the coming weeks.